Well I finally finished the sweater that I was supposed to give my husband for Christmas, but ended up giving it to him on Valentine's Day. I bought 14 skeins of the skye tweed yarn (2 more skeins than the pattern called for) and I ran out of yarn about 8" from finishing. 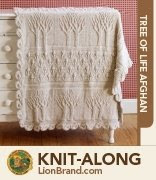 This yarn had been discontinued and I couldn't find it anywhere online. I then checked Ravelry and messaged others whom made projects with this exact yarn and asked for leftovers. I had 3 members respond and lets say they were so friendly with mailing me their leftovers. I got enough to finish the sweater and then some. I just might make a matching hat or two with the remainings.